Brilliant news! 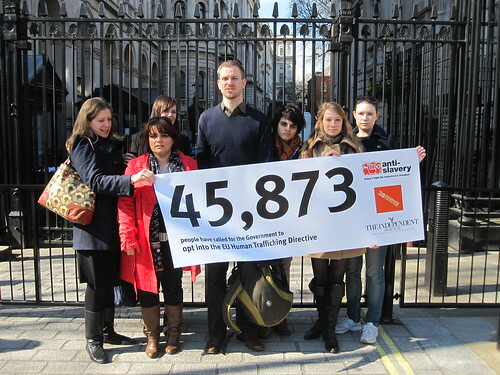 After many months of campaigning by tens of thousands of 38 Degrees members, the Independent on Sunday and our friends at Anti-Slavery International, the government has said it’s going to sign up to the EU Directive on Human Trafficking. 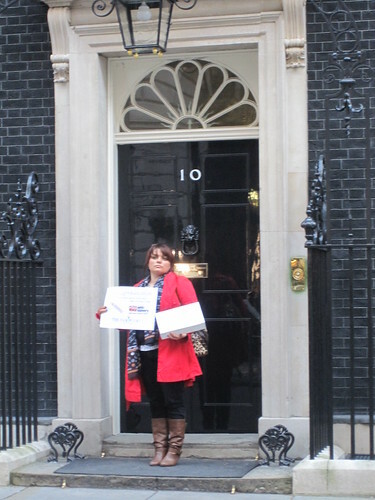 On the 19th March, we went along to 10 Downing Street with Anti-slavery International and the Independent on Sunday to hand in a petition of over 45,000 signatures. 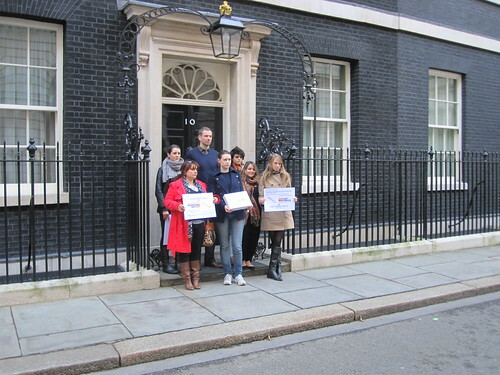 The petition was handed in by Oxana, who is a survivor of human trafficking from the Ukraine to the UK. We were asking the government to sign up to the new EU Directive on Human Trafficking, so that there is more co-operation across Europe to protect victims of human trafficking. And it worked, the government has agreed to the Directive. When we first heard that the government was refusing to take action on trafficking, we teamed up with specialist groups Anti-Slavery International and ECPAT. Nearly 50,000 of us signed the petition and thousands of us emailed our MPs to make sure the government took action on this issue. Now, the victims of trafficking will have better protection provided by the EU Directive, with countries across Europe working together to target the criminal gangs and traffickers that are exploiting people. This decision is important, but won’t stop human trafficking altogether. It is a big step in the right direction towards justice and protection for victims of human trafficking. You can find out more about the campaign on Anti-Slavery International’s website here. Click here to find out more about Human Trafficking.